In 1967, representatives from the League of Friends and Chard Youth Centre met to discuss ways in which to raise money for the respected groups. Gerald Quick, Mervyn Ball, Tom Miller and Wendy Clulow decided that the best option would be to revive Chard Carnival after a break of 13 years. Chard Carnival is an illuminated procession which takes place on the 2nd Saturday in October, and raises money for local charities and organisations. In the early 70's, Chard, Ilminster, Wellington and Taunton formed the South Somerset Federation of Carnivals, with Yeovil joining at a later date. This provided a competition for entries spanning across the 5 towns. Yeovil carnival has ceased to exist, but the Federation of the 4 towns remains. The carnival since then has raised thousands for local charities and organisations, including; Chard Christmas Lights, Children's Hospice South West, Chard Hospital, Air Ambulance, local sports clubs, local Brownies and Scouts, and schools within Chard and the surrounding area. 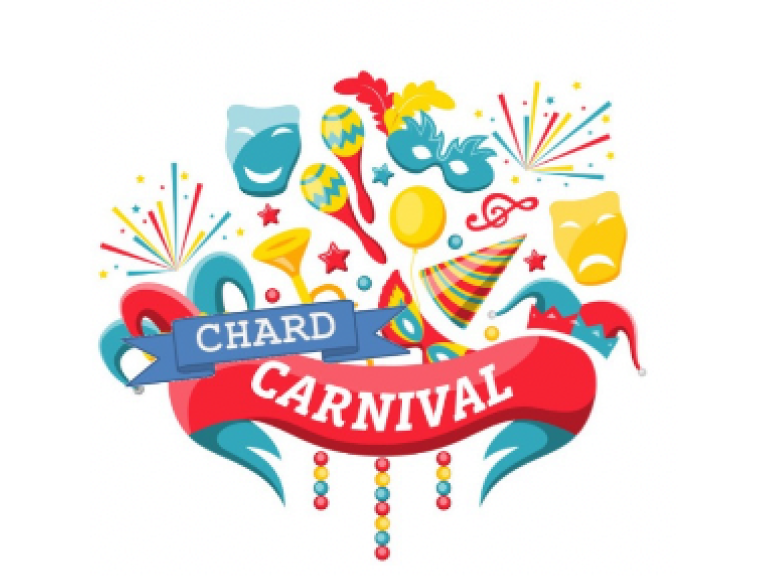 Chard Carnival Committee is made up of volunteers who work and fundraise tirelessly throughout the year to put the carnival on. Costing £6,000 to run, money raised on the night goes towards our chosen charities and organisations. If you would like to enter our 2018 Carnival Royalty Contest please contact us for more details.